NFL wide receiver and return man who began his career with the Dallas Cowboys in 2011. 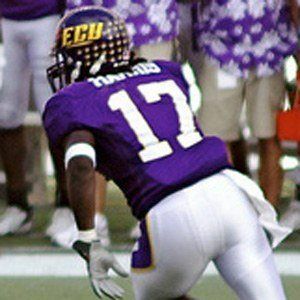 He was an All-American candidate at East Carolina University and was selected in the sixth round of the 2011 NFL Draft. He returned his first punt for a touchdown in 2012 against the Philadelphia Eagles. He has a brother named Derrick. He joined Tony Romo on the Cowboys in 2011.